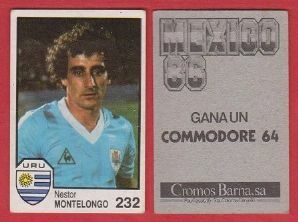 RARE Foreign issue Football card, by Cromos Barna under the Mexico 86 series. Measures approximately 4 x 6cm. 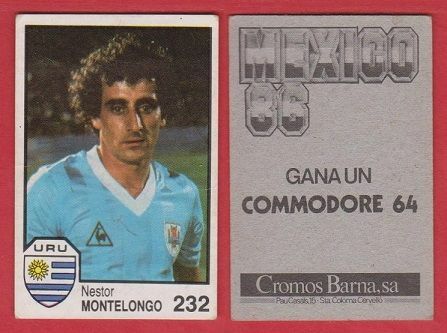 Depicting the Uruguay, Nacional, Penarol and Racing Club star Nestor Montelongo.